A happening final week in the Supreme Court witnessed two rare events- a midnight to day break hearing and a sitting on a Saturday (today), both relating to urgently ordered proceedings to hear pleas related to the ongoing Karnataka government formation drama. 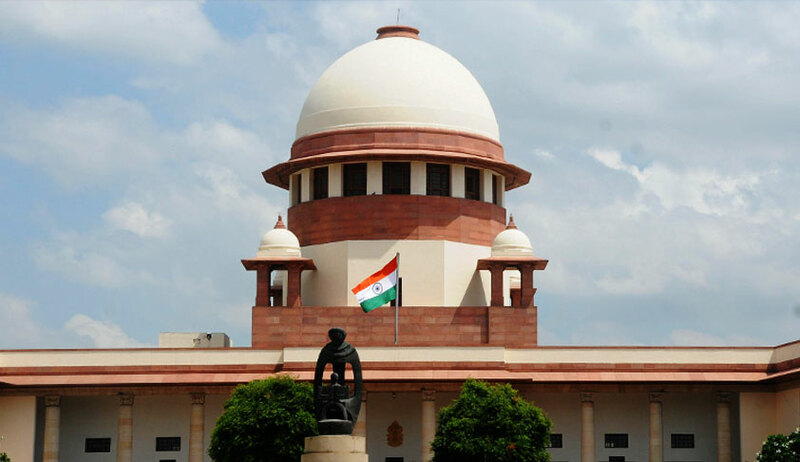 The Supreme Court closed for a 44-day summer break ( May 19 to July2 ) after a tumultuous final week which witnessed two rare events- a midnight to day break hearing and a sitting on a Saturday, both relating to urgent proceedings to hear pleas related to the ongoing Karnataka government formation drama. The much-awaited pronouncement of the verdict in Delhi’s Kejriwal Government Vs Lt Governor (Centre) regarding who has the control over Delhi administration-LG or the elected government did not happen though was expected. The judgment was reserved way back on December 6, 2017. Now with the apex court closing for summer vacations, it is unlikely to be pronounced till it reopens on July 2. By then seven months would have passed since reserving of the order. It is to be noted that even the Constitution Bench for the matter was set-up after senior counsels representing the Delhi government, including former Solicitor General Gopal Subramanium had consistently mentioned the matter before benches headed by successive Chief Justice of India, including Justice TS Thakur, Justice JS Khehar and the current CJI, Justice Dipak Mishra, for over a year, that a Constitution Bench be set-up to resolve the dispute which has severely affected the Delhi government functioning. It is to be noted that at a recent public function, interacting with senior journalist Karan Thapar, Justice J Chelameswar had stated that keeping judgments reserved for a long time defeats the very purpose of administration of justice. Justice Chelameswar’s statement was in response to a question whether the Supreme Court should have kept the verdict in former Tamil Nadu chief minister late J Jayalalitha’s disproportionate assets case reserved for six months. Honoring convention, Justice Chelameswar spent his last working day in Courtroom no. 1, alongside Chief Justice of India Dipak Misra and Justice D.Y. Chandrachud. While the Bench assembled at 10:35 am for a fairly brief period of time with 11 matters listed before it, Advocate Prashant Bhushan, Senior Advocate Rajiv Dutta, and Advocate Gopal Sankaranarayanan approached Justice Chelameswar to give farewell speeches before the Bench could rise for the day. Mr. Bhushan stepped forth to thank Justice Chelameswar for his contribution to the institution, saying, "On behalf of the Bar, I would like to say that it was a pleasure and honor to have appeared before you… future generations will remember your contribution to democracy and to the country." Advocate Dutta and Advocate Sankaranarayanan similarly thanked him and reminded him that he would always be remembered and appreciated. June 25 to July 1: Justice Arun Mishra and Justice Sanjay Kishan Kaul. During the vacations, the Registry will remain open from 10 am to 5 pm on all days, except Saturday, Sunday and holidays. These Benches will hear urgent miscellaneous matters on Monday and regular hearing matters from Tuesday to Friday. The Court will reopen on July 2.